English conceptual artist Theresa Bruno is interested in western consumerism and asks her audience, through her art, to re-examine what and how they consume. She uses found objects and appropriates them for her artwork. 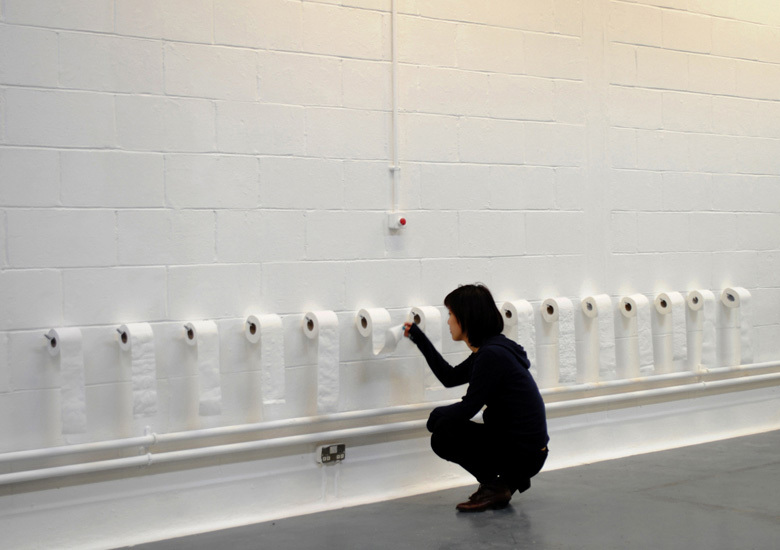 In her piece Social Climber, Bruno placed fifteen toilet roll holders and fifteen assorted toilet paper rolls on a wall. The progression from left to right demonstrates the ascending quality in toilet paper. The installation deals with class consciousness and questions luxury, globalization, and consumption.